If you’re doing a little shopping in Commerce, you’ll surely want to stop here to eat. The service is great, and the food is even better. 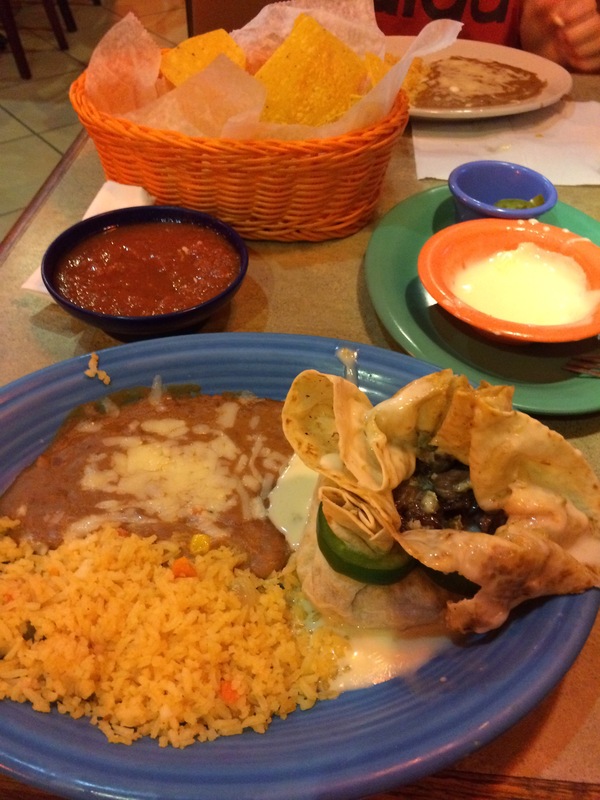 The chips and salsa, the rice and beans, and the steak tacos are great, but what I like the best is The Volcan. I don’t even know why it’s called this, but it is delicious! They take a soft flour tortilla, put grilled steak, bell peppers, a little sautéed onion and “wrap it up” like a present, complete with a bell pepper ring to close. It looks really cool, too (See pictures above). 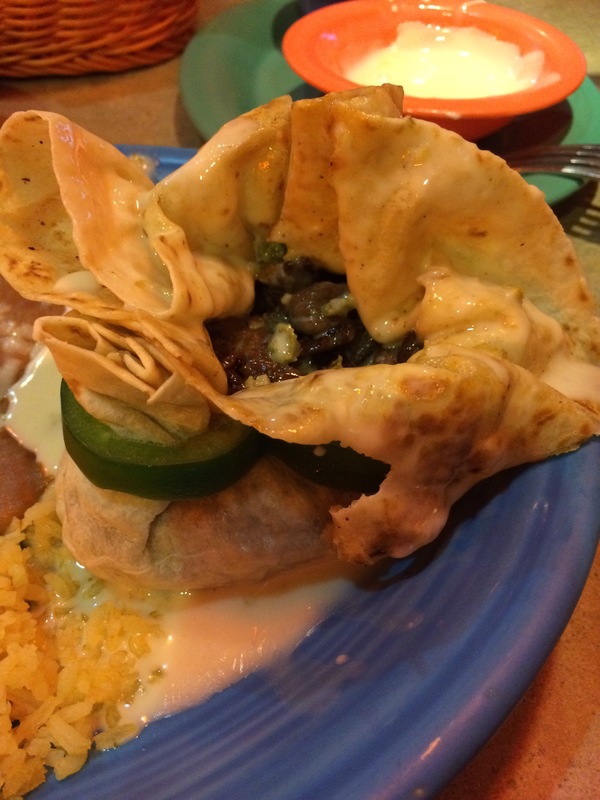 They have an extensive menu from which to choose, and the prices are better than many Mexican restaurants, too.